Seafood supply chains are complex, opaque, and at times disenfranchising. From fishermen to processors, from big buyers to everyday consumers, seafood supply chains are comprised of many different actors, each with a unique perspective on the value and nature of seafood. Moreover, the various and diverse actors often lack a complete understanding of one another and of the system as a whole. Recent back-to-back engagements in two very different seafood events demonstrated this principle to me clearly. First was the FisherPoets Gathering in Astoria, Oregon, a folk celebration of the commercial fishing industry through story, music, and prose. The second event, the Seafood Expo North America in Boston, MA-- North America’s largest seafood trade show-- gave me an eye opening experience to the vast scope and spectrum of the global seafood supply chain. As a commercial fisherman I was right at home in Astoria, falling effortlessly in alongside rough, unrefined, men and women who make a living at sea. In Boston I felt a foreigner amongst well-dressed seafood business men and women, many of whom may have been hard-pressed to clean gear or tie-up in a bucking tide. Perhaps the only common denominator between these two events? Seafood. Seafood supply chains are complex, opaque, and at times disenfranchising. The right hand doesn't always know what the left hand is doing. This disconnect in the supply chain can have a detrimental effect and be a substantial barrier to addressing major, complex fishery challenges. Fishermen who lack a complete understanding of their supply chain can’t be expected to do what’s best for the end consumer, environment, or resource. Buyers and other seafood organizations who don’t fully comprehend the on-the-water realities of fishing are less effective in implementing practical reforms. Creating a framework which allows everyone in the seafood supply chain, including fishermen, to participate in the management and use of the resource is the only way to improve fisheries. It’s often the people closest to the problem, those who are dealing with a situation everyday, those with the most information, and those who have a vested interest in a positive outcome, that have the solution. That’s why we’re on the ground in Russia, China, and Japan engaging commercial fisherman and local stakeholders. 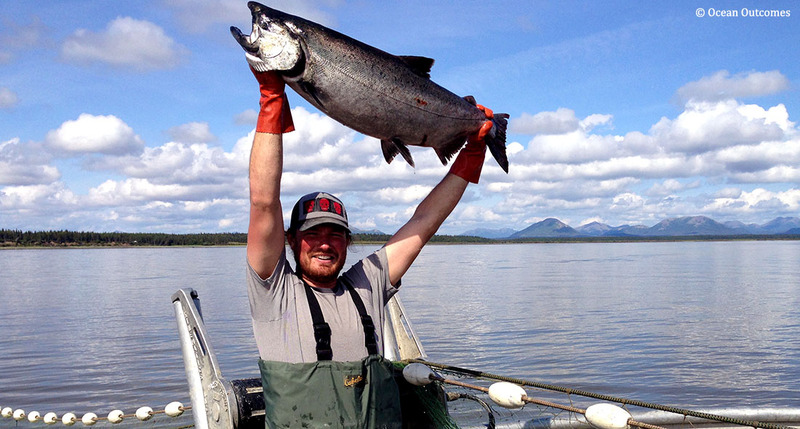 Perry Broderick manages O2’s Communications and IT systems and is a regular contributor to programmatic strategy, drawing on his experience as an Alaskan commercial salmon fisherman.